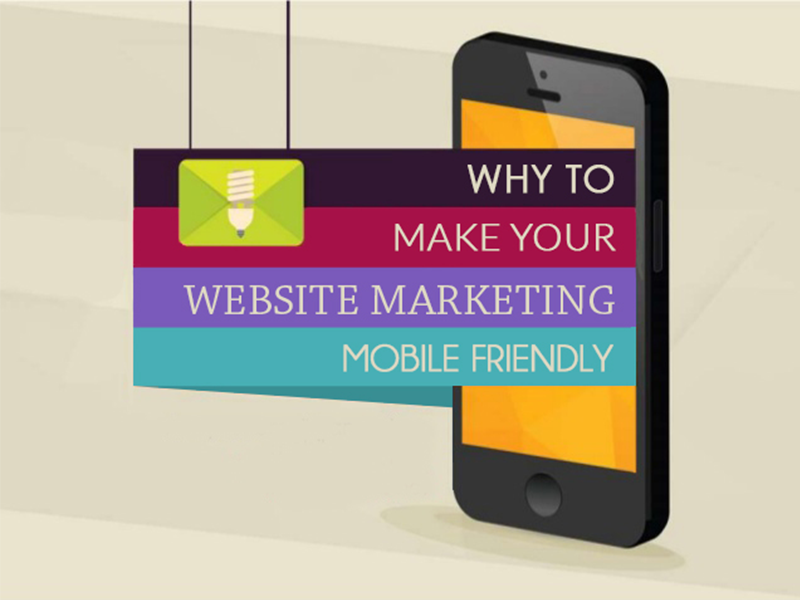 Why Should Your Business Have a Mobile Friendly Website? If you want to stay competitive in today's market, having a mobile friendly website isn't just an option; it's a necessity. After all, 80 percent of all Internet users own a smartphone, and mobile web use actually overtook traditional PC web use in 2014, meaning more people are using their phones to access the web than they are laptops, desktops or any other older form of technology. Don't you want to make sure your company can reach these users, convert them and profit from them? If so, then your site needs to be optimized for mobile devices at every turn. To make matters even more dire, the mobile friendliness of your website also impacts your SEO performance, too. Google actually considers how well your site functions, displays and looks on mobile devices, and factors that into your search rankings. The better your site performs on mobile, they higher organic rankings you'll have. The more mobile problems that crop up, the more your rankings will plummet. And which camp would you rather fall into? Marketers generally consider a company’s website to be the core of its digital marketing campaign. Its site ranking will determine how much organic traffic it gets, it’s responsible for converting leads, and it promotes the company’s products and social media pages. All of this is still true with just one little difference: your mobile site is now more important than your desktop one. This change will impact the rest of your digital marketing efforts. Although users now spend more time on mobile devices than desktop computers, many businesses still spend more time designing their desktop site. This contradiction is the source of inefficient marketing efforts and lost investments. Those are the stakes we’re playing at. A bad mobile UX is enough to keep leads away forever. As always, you should keep your site free of ads. But buying mobile pay-per-click ads is a good way to supplement your site’s organic traffic. Just make sure the design isn’t obnoxious. Okay, we’ve established that the mobile UX is critical, but we haven’t explained what you can do in that respect yet. The easiest, fastest, and the most effective tactic is to make your site responsive. Responsive sites adapt to whatever screen size they need to. This is one way to ensure you’ll never exclude any users from your site. Your UX will hold up just fine on smartphones, laptops, and desktops. Don’t overthink it. Responsive design is good for your UX, UI, and SEO. You might have heard the term “mobile-first” thrown around in Digital Marketing circles. This is an acknowledgment that mobile-friendly strategies might not be enough in 2017. Instead, you should design specifically for mobile users. 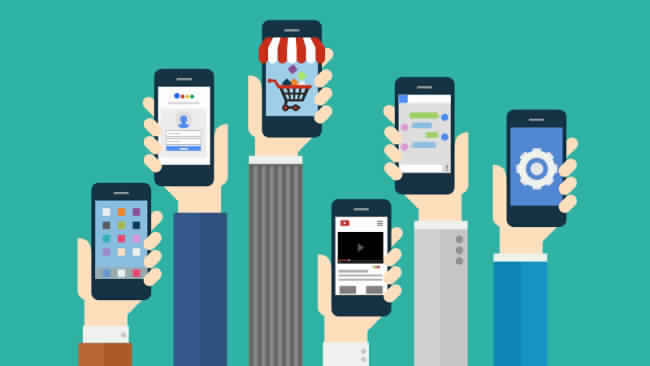 You might have heard the term “mobile-first” thrown around in igital marketing circles. This is an acknowledgment that mobile-friendly strategies might not be enough in 2017. Instead, you should design specifically for mobile users. Before you redesign your entire site, we recommend creating a few pieces of content for mobile devices. Make sure the text is readable and the buttons are big enough. If you can make it interactive, then that’s even better. Whether your site is shown on a desktop, table, a smartphone or even an e-reader, with a responsive design, it will always be re-formatted and arranged for optimal display. It will be easy to read, browse and navigate, and there will be no need for tedious zooming or sliding just to get around. If your website isn't mobile friendly, it may be time to consider changing to a responsive design, before your traffic and search rankings start to drop. You get a modern looking website without having to invest in expensive mobile app development or technology. You serve all web users with a single source. With only one source to maintain, you save time and money over the long term. You improve your SEO results. Google officially declared responsive design to be the best approach for delivering both desktop- and smartphone-optimized sites. Additionally, it also announced responsive design and mobile usability are now factored into Google's search rankings. With a single, responsive design, all your site's inbound links point to one location. This ensures a high search ranking across all platforms and better visibility with your target audience. To simplify it, instead of counting the mobile link to the desktop site and losing that ranking for mobile devices, all your links now add up in one central place, giving you more SEO firepower on the whole. Your audience will have a better browsing experience and probably a better impression of your company and/or service altogether. At Spot On, all the websites we build are completely mobile friendly and responsive. We know how important this is to your site's performance and search rankings, and we pull out all the stops to ensure you have the best, most effective web presence around. According to a recent study by Internet retailer, 60% of global mobile consumers use their mobile device as their primary or exclusive internet source. A similar study conducted by Shopify revealed that 50.3% of eCommerce traffic comes through a mobile device. These findings show that consumers are more mobile savvy than ever. Below, I'll talk you through my top tips for making your site mobile friendly and marketing effectively to consumers on mobile devices. It's all about reaching people in the way they want to be reached on the device they prefer. Whether you choose to create a mobile website or go responsive, your site must be mobile friendly, according to Google's recent algorithm update. Otherwise, brands risk incurring search penalties with the possibility of being demoted down search engine rankings. Mobile Site: A mobile site is a site that is purpose built for a mobile device. The downside is that you will need to hire a developer to create another mobile version of your website to ensure you deliver an optimised page that is smaller and easier to navigate. The plus side is that you can customise your site for mobile users and tailor individual elements to deliver the best mobile experience possible. Responsive Site: A responsive site is a website that displays and scales on both desktop and mobile devices. This might be the easiest option as when you find a responsive template it automatically renders to fit your consumer's screen which means you only need one website. If you don't want to work with a developer (which can prove costly) many website template providers like WordPress offer responsive design themes you can quickly and easily implement. Use Google's mobile friendly test to check if your website is optimized for mobile devices. The tool works by analyzing your URL and creating a custom report addressing a number of mobile friendly criteria, including font legibility, size and proximity of links and content fit. Those reading content, researching or shopping on the go don't have time to scroll through heaps of text. That's why it's important to keep your content short, snappy and to the point. On smaller screens your call to actions will have to work harder so choose your words carefully and remember that less is usually more. When creating copy it's also important to consider navigational issues. For example, buttons and links should include clear and concise instructions that mobile users can quickly grasp. It's also essential to ensure that your content (including your images) scales and displays correctly on mobile devices. For example, Google's mobile-friendly algorithm's criteria states that your mobile page content must fit horizontally within the specified viewport size. Break your content into bite-sized chunks, paragraphs bullet points, numbered lists and subheadings to enhance viewability on mobile devices. You can use SMS marketing to send targeted and personalised messages to your customers and those who have opted in to receive text messages off your brand. If you plan to send text messages to consumers as part of your mobile marketing strategy you will need to know the SMS Marketing and Data Protection Law rules. For example, you can only send text messages to people who are not customers when they have opted into the service.. You will also need to provide clear instructions to them for how they can opt out of the service at any time. When marketing to existing customers, you will need to ensure that the product or service you market to them is similar to the one they have already bought from you. You are also required to give customers a clear choice of opting out of the service when they first gave you their details. Stay tuned for next week's article, where I'll explain how Pay Per Click (PPC) advertising works to help you achieve success. As a complete mobile takeover of the business world is fast becoming a reality, any web strategy that doesn't embrace the transition is almost certain to spell doom. Given the increasing inclusion of mobile devices in all aspects of business operations - be it sales, support, market research, or any other core function - mobile SEO has become an essential marketing tool for every modern-day business, especially B2C entities. The time of reckoning is now, with more than 50 percent of all online search queries being directed from mobile devices, how well you incorporate the paradigm shift will play a pivotal role in determining the future of your business. The stakes have already been raised with the rollout of Mobilegeddon - Google's recent algorithm update that aims to enhance the prominence of mobile-friendly websites in organic results. Approximately 91 percent of the earth's population has a mobile phone, with 56 percent owning a smart device. Mobile SEO ensures that your website is tailored to deliver the same user experience on all platforms, optimized for the access devices used by visitors. Apps are now the driving force behind consumer activity. According to The US Mobile App Report, mobile apps now account for as much as 7 out of every 8 minutes spent consuming media on mobile devices, which itself is a reason enough to think �mobile'. Ranking is still king and the ranking indicators on mobile browsers demand more than the average desktop user experience. That is the reason why mobile SEO becomes a necessity, in order to optimize the receptiveness of your website for Google and other search engines. More than 70% of consumers make their purchases online. Therefore, if you are not focused on achieving high rankings in mobile web searches or providing the same experience across platforms, you are clearly losing out on more than a few opportunities. 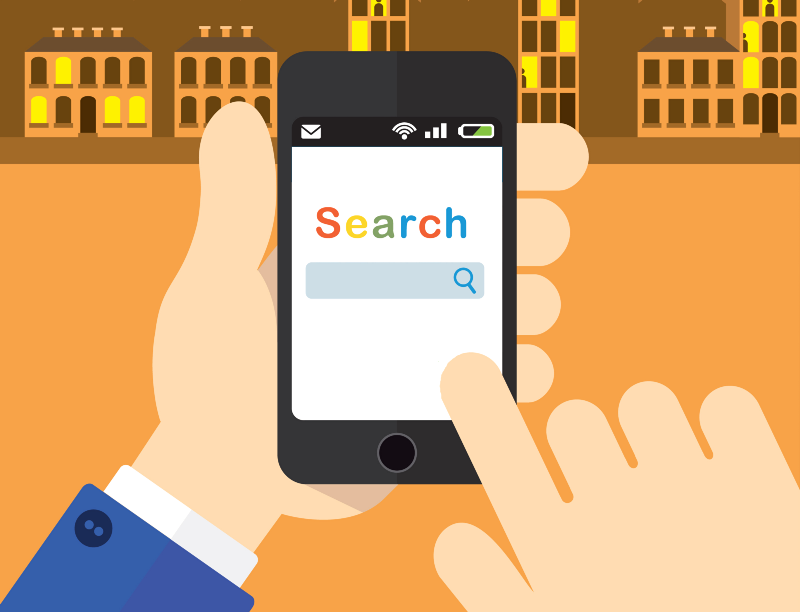 Approximately 70% of search results on mobile, yield an action within an hour. Thus, by targeting mobile users, you can reduce the overall duration of sales conversion cycles, which is sure to add to the profitability of your business. Behind every marketing strategy, there is an attitude and understanding that attitude, will either see the project through to success or bring it on its knees. But before we delve into the intricacies of mobile SEO, let us take a quick look at some of the rudimentary SEO facts, often misconstrued by the masses. When it comes to selecting a mobile SEO company, beware of the "quick results" bait often used by agencies. Do your own research on the prevailing mobile SEO trends as well as the service providers under your consideration. There are a number of mobile SEO strategies that you can adopt in your overall marketing campaign, in order to make the most of the smartphone revolution. The magic potion, however, remains the same when it comes to ranking higher on the search engines - a blend of optimal user experience, informative content, and search-friendly architecture. Gratify visitors with a fast, easy-to-navigate, and informative website. This is a silver bullet that results in the proverbial killing of 2 birds with one stone - what the user likes, the machines also like. The result is favorable ranking and lower bounce and exit rates. Forget blind link building strategies and focus on sharing valuable content. You can establish your authority in your field through guest blogging. In addition, it is advisable to indulge in authentic conversations, and be compelling on all platforms. Unblock Java Script and CSS to bring out the true design and feel of your website. This follows the unleashing of Crawl and render with Fetch as Googlebot, which allows Google to understand your pages better through the execution of JS, Ajax, etc. Prepare for the future. Updates such as hummingbird aim to improve user experience through enhanced natural language conversation for correctly optimized websites. Therefore, having a multilingual websites becomes a necessity for global businesses. It is also important to monitor your online presence and enhance your marketing strategy with the lessons learned. Web analytics tools will help you identify and measure how your website interacts with Google's crawling and indexing activities, as well as your customers. This allows you to spot issues in time and redress them without wasting any time; however, as stated earlier, do not take the matter into your own hands, unless you are sure about your in-house capabilities and understanding of SEO, which happens to be a constantly evolving science. As they say, some things are better left to experts! Web-enabled smartphones are becoming a ubiquitous commodity. When people carry such devices on their person, more likely than not, they will use them to access the Internet rather than waiting until they’re in front of a desktop computer or laptop. It’s a simple matter of convenience. This is the reason for the huge upsurge in mobile Internet traffic. Many pharma businesses have accommodated this traffic trend by making their websites mobile friendly. For those using open source content management systems, such as WordPress, it amounts to a plug-in installation or getting a mobile friendly website theme. Those with relatively new websites will have mobile friendliness built in. These changes produce websites that automatically reconfigure themselves to fit the various screens of mobile viewing devices. While this helps with mobile traffic conversions, these websites are far from mobile optimized. An important improvement that shouldn’t be overlooked involves a certain type of content medium. Although text content is easy to produce, video does a better job of engaging the viewer. For the business owner willing to stand in front of a camera, the video she produces is more personable and establishes trust with the viewer. Video is also easier to consume than text. Animals, including humans, have been processing moving images for millions of years. This is why people can easily assimilate information more quickly with video than with text. This last point is particularly important because of the viewing habits of mobile traffic. Convenient Internet access has caused people to spontaneously act on their impulses throughout the day. When a need arises, people immediately act on it by going online. Whatever they were doing previously is momentarily placed on hold until they finish their online activity, which usually lasts for one or two minutes. A single thought or idea can trigger this activity. These people don’t have the time to read through lengthy text, which is more difficult to consume on their small screens. A short one or two minute video is perfect for them because they can assimilate a lot of information quickly and easily. The video must be short so they can get back to the offline activity that they’ve temporarily placed on hold. Mobile friendly digital marketing requires more than a software fix. You must accommodate their viewing habits any way you can — and adding short, informative videos is just one way to engage with your customers on their mobile devices.